“It is helping us change our mindset from startup to company. Compliance with requirements for MAB public listing is helping professionalize management and processes at all levels, which is in turn resulting in improved outcomes”. With these words, Alfonso Martinez, COO and partner, took stock of Cuatroochenta’s first steps since it was selected for Entorno Pre-Mercado (EpM) in April 2017, during the third Investor’s Day held last Tuesday 6 February on the Madrid Stock Exchange attended also by Santi Gimeno, the managing partner. Cuatroochenta participated in the “Companies follow-up and progress” roundtable, together with representatives of Housers, Biomar, Navlandis and Cadel Deinking and the companies presented on this ocassion – Embention and The Logic Value (a neighboring company in the University Technological Park Espaitec). These are the 7 companies which are preparing to be listed under regulated supervision, as explained by Fernando Ibáñez (BME group) and Victoria Majadas (Big Ban Angels), two of the initiative promoters. 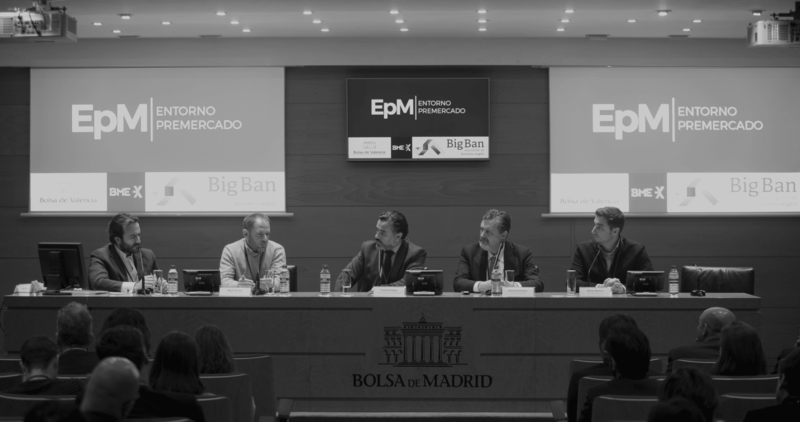 Entorno Pre-Mercado (EpM) is aligning with similar European projects serving as platforms to connect startups and private investors, such as the Deutsche Börse Venture Network in Germany or the London Stock Exchange Elite Program. In terms of progress since being selected for Entorno Pre-Mercado (EpM), the COO stressed that it is “serving to further professionalize processes and, above all, to change our mindset from startup to company. Entorno Pre-Mercado (EpM) has given us visibility and credibility. Both customers and suppliers, partners and institutional investors in our environment have requested information and shown interest to invest“, he added. Finally, Cuatroochenta’s head of operations highlighted the most relevant milestone since they joined: they have been selected by Google, along with Grupo Zeta, to develop a project for innovation in hyperlocal journalism together with the Somos Malasaña portal, within Google’s European program Digital News Initaitive (DNI). Following the meeting with investors at the Madrid Stock Exchange, prospects for further progress remain very positive. Alfonso Martínez outlined the three main lines of business according to Cuatroochenta’s strategic plan -tailored consultancy and technological development for companies, own products development and commercialization and revenue share partnerships- and mentioned the international projection and sustained turnover growth of the company since its establishment in 2011.